We will call you between 3–4:30pm one business day before your scheduled surgery to go over any instructions and to let you know what time you need to be at the hospital. If you do not get a call by 4:30pm, please call 215-728-2664. To prove your identity, we will ask you to tell us your name, date of birth, and the surgery you are having. We will give you an ID bracelet that staff will check at different times before your surgery and during your stay. 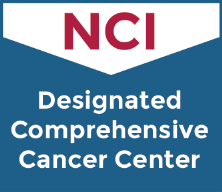 Fox Chase Cancer Center’s Surgery Department is part of the American College of Surgeons’ National Surgical Quality Improvement Program. The mission of this program is to gather information about our patients 30 days after surgery. After your surgery, you may get a phone call or letter from a surgical clinical reviewer asking about your recovery. This information will be used to improve the quality of care at Fox Chase.